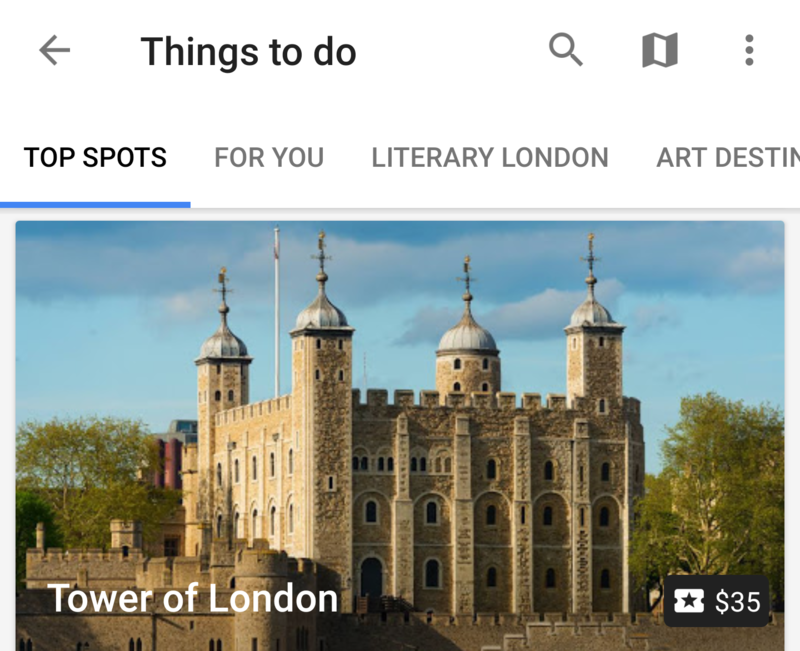 When browsing places in the Things to do or Saved places sections, you will start seeing a small ticket and price icon at the bottom right of some cards. 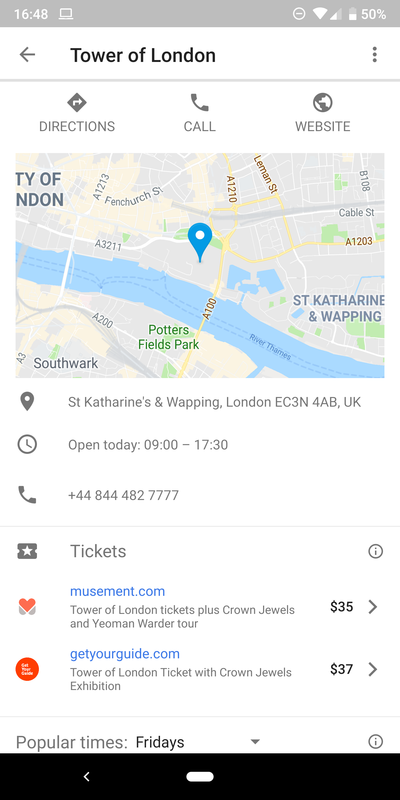 Opening the place's page shows a new Tickets section below the phone number that lists different sources (if available) and their prices. A simple tap takes you to the ticket's page on that site. So far, I've found tickets from Get Your Guide and Musement, but other sources might be added later. 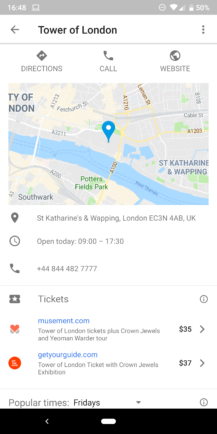 Here's a friendly piece of advice from your Android Police geek, do not book your Get Your Guide tickets like this, you'll pay full price. Instead, back out to the main trip page and go to the Discounts section (only visible for upcoming trips). 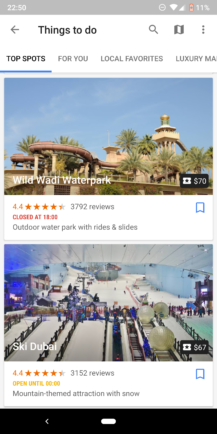 Find the Get Your Guide discount card there, select it, and tap the orange "20% off - Book Now" button. You'll be taken to the site and will have to manually search for the ticket you wanted, but a 20% discount will automatically be applied at checkout. It works for any activity on GYG and is a great way to save some dineros while traveling. I've already used it a couple of times and it works like a charm. The Google Trips changelog also mentions an improved restaurant search experience, but I can't find anything new or different that fits that description. Adding restaurant reservations, browsing the Food & Drink section, and searching for places, are all still the same. So maybe the team jumped the gun on this one, or it's a subtle improvement that we can't see. • Discover entry tickets for top attractions. 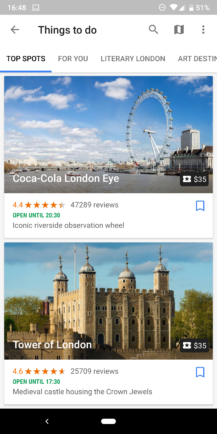 • Improved restaurant search experience. 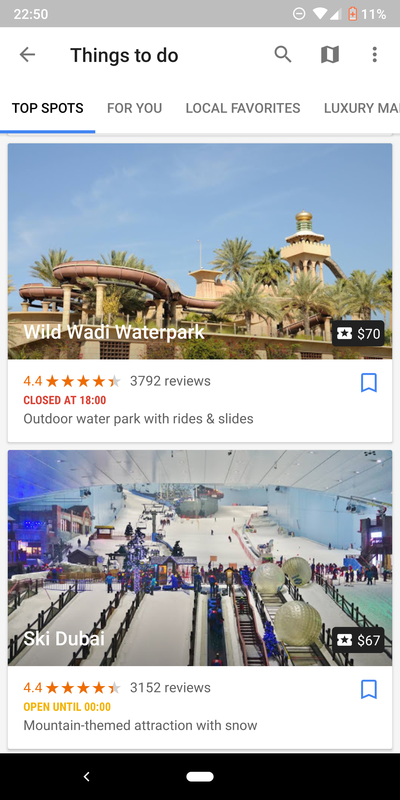 To check out the new ticketing experience, you can grab Google Trips v1.10.0.205 from the widget below or from APK Mirror.